MTE Consultants Ltd. (Kitchener, Ont.) has been named one of the top 100 North American architecture firms in 2012’s Zweig Letter Hot Firm List. 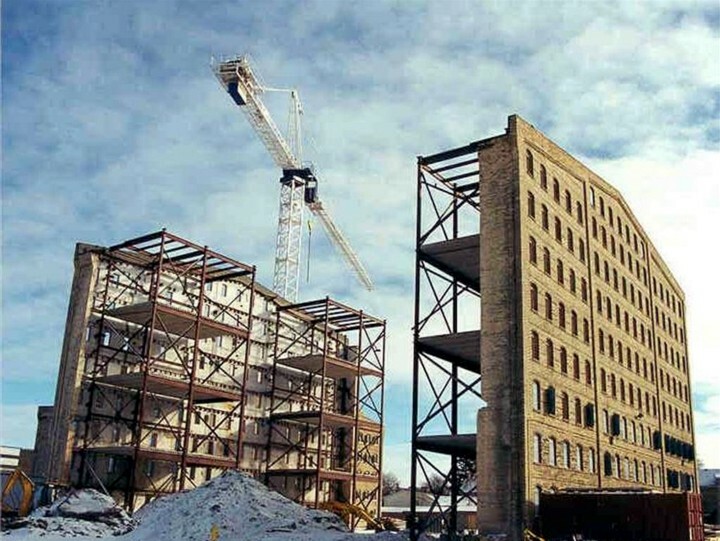 The Seagrams Lofts conversion project in Waterloo, Ont., is one of the firm’s developments contributing to its place on the list. Photo courtesy MTE Consultants Ltd.
At a black-tie event last month, this year’s Hot Firm List was revealed, recognizing the top 100 Canadian and U.S architecture, engineering, planning, and environmental consulting firms. Surveys are conducted by the sponsor, consulting firm ZweigWhite, and ranked by growth of gross revenue over the past three years—50 per cent is based on dollar growth and 50 per cent is based on percentage growth. The companies with the highest combined scores—in business as of the beginning of 2011, and reported revenue of $1 million in 2008—were eligible. MTE Consultants Ltd. (Kitchener, Ont.). MTE’s Shelley Facey told Construction Canada Online the firm is honoured to be one of the country’s few companies included in this year’s list. Held in Aspen, Colo., the awards ceremony finished off the annual two-day Zweig Letter Hot Firm Conference. The event featured keynote speakers, discussion forums, and networking opportunities with members of North America’s most successful firms.